Is the month over? It’s over – at least the work week, in oh, 3 1/2 hours. Counting, definitely counting. I was appointed to this case, and my, I am busy! But that doesn’t mean I haven’t had time for this and that’s, right! 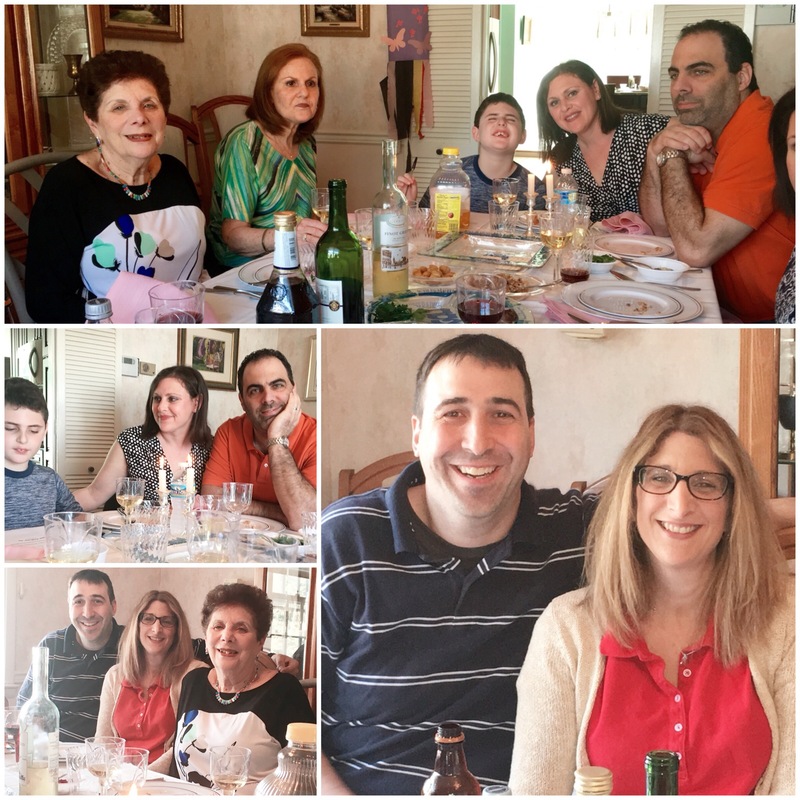 Passover fun was had by all! Ssshh!!!! I’ve already broken Passover . . . I just couldn’t take the matzah bloat anymore. I remember Moses, the desert, the boils and the locusts, I’m good. I got it, for six nights. Fini. I may have made my last flipbook. I think I’m over it. I’m not sure. I bought this die two years ago from Papertrey Ink, thinking I was going to make my own holiday cards, with Lemon and Olive in the snow globe. That didn’t happen. I don’t know why I thought Paris and snow globe, but it clicked, and I think it turned out cute. I was in such a creating frenzy, though, I didn’t think to photograph the process until I was all done. So, basically what you do is use the outline die to create a base. Then, you cut the top of the shaker out of decorative paper, and sticky foam. 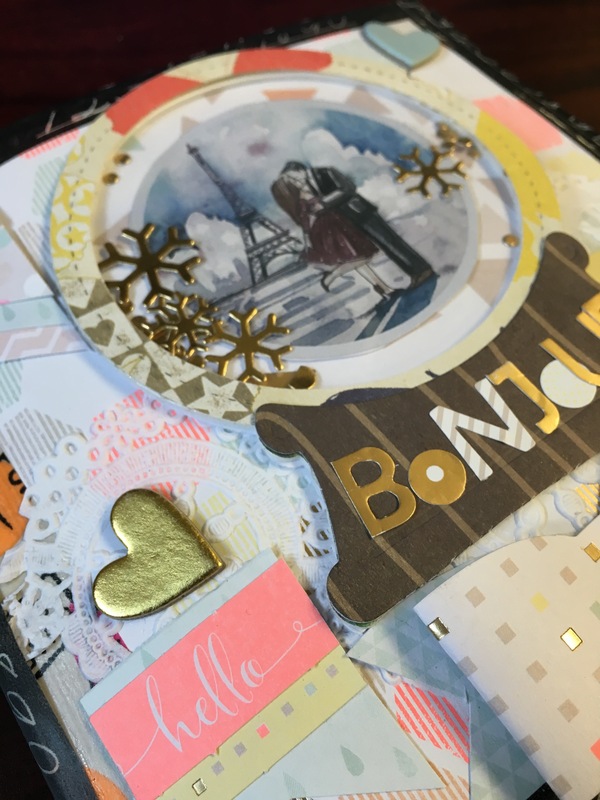 You then layer the base, your sprinkles, the foam, a clear circle vellum/plastic window, and then the top – voila! A shaker globe. For whatever reason, my sprinkle stuff got caught in my sticky foam, so it doesn’t really really shake, what can you do. Be more careful I guess. But, I wasn’t about to rip it open and make another. And for sprinkles – see that circle die? It makes snowflakes, and confetti – pretty cool! 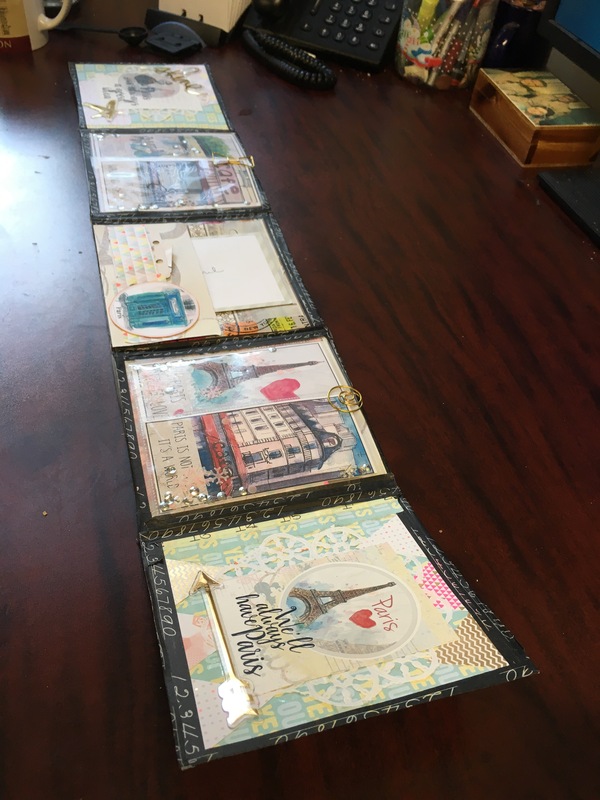 Now that I’m thinking about it, and rambling along, I think that my “over it” feeling about flipbooks is that I’d rather make them for someone who I’m regularly corresponding with then a one-time swap with a passing stranger. I feel like this is something I’d want to make for a penpal after we’ve exchanged a few letters, and I was making something for someone I kind of ‘knew.” Too bad I unceremoniously abandoned all of my penpals after my father died, and my Wendori was lost forever. All said and done, between the cover, and the flaps, I decorated 10 pages, filled a bunch of pockets, and spent many nights after work assembling, fusing, die cutting and tweaking. The ‘elaborate envelope” was like this, made from one sheet of 12 x 12 paper, with flaps made from simple, creative cutting. This little, hour long project, was fun, and relaxing, and I can see more of these in the future. The ten page, humungous flipmonster – not so much. I investigated, and bought a new planner. In my last post of last year, I mentioned that I had my MIL buy me a faux Midori Traveler’s notebook online from an Etsy seller, Dokkipaper, for Hanukkah. I remain supremely happy with my present, the leather just keeps getting softer, and a bit more scuffed with loved. But the calendar insert that I printed for myself is set to run out in June, and I have to decide where my planning is going next. So, I fell down the crazy, deep internet whirlhole of planner communities. At first, I was seduced by the Happy Planner, and joined a half dozen Happy Planner Facebook groups, without actually buying said planner. After a few weeks of watching everyone sticker up their months, days and weeks, I decided that wasn’t for me. I also became less transfixed with the Arc system of rings – it seemed hard to flip the paper, and heavy, really heavy. So, I unjoined all of those groups, and joined Christy Tomlinson’s Planner Society FB group, because while almost everyone is subscribed to her Planner Kit Club, everyone is in a different planner. I then became enamored with the Kikki K’s, the big ones, the A5 size. Hmm, do I really want that big thing, I thought, and if I do, do I really want it for planning? I mean, that’s a big thing to whip out in court and check a date. So, I did some soul searching, and realized, yeah, I am supremely happy with my TN, why would I change? I must be yearning for something else. And, that something else, I concluded was more of a memory keeping journal, to help me along with my Project Life, and to be more of a daily journal/diary. In my original post about my TN, I mentioned that one of my inserts was a “Morning Pages” booklet. Er, that didn’t last long. And, since I had pasted a copy of the sentencing guidelines (because everyone has that in their planner!) 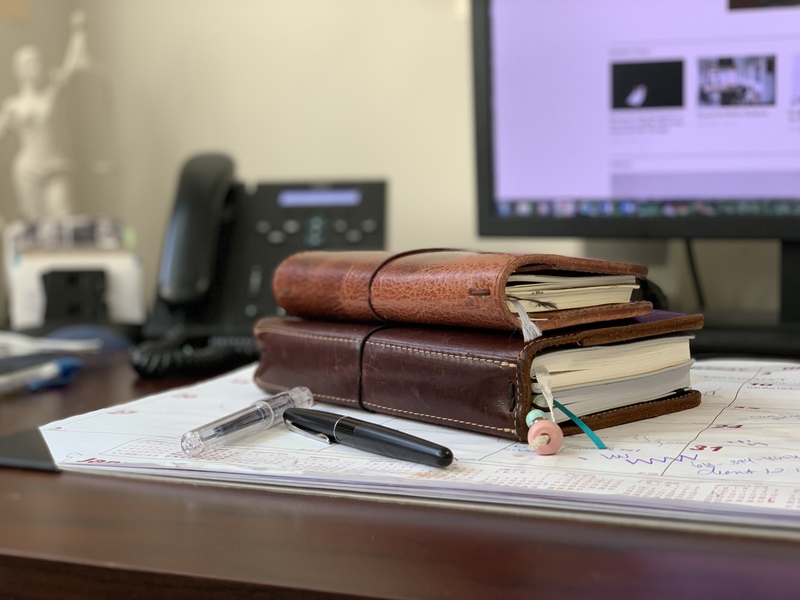 in the back of my calendar, I had started leaving it out on courtroom tables, and I became concerned that I might lose it a la the Wendori, and then my morning thoughts would be out there for everyone – what thoughts they were, I wasn’t exactly a daily journaler. So, the solution, it seems is to have a planner, my TN with a new calendar insert, and a big thing I can keep at home, beside my t.v. chair, to update daily. So, I wistfully looked at everyone’s pretty Kikki K’s, and could not bring myself to spend that much money ($90+ shipping) on a planner, even a pretty planner. 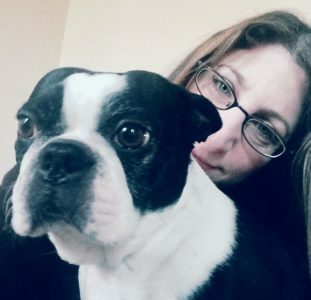 So, deciding to plan within my means, I begin investigating the Webster’s Pages Color Crush Planners, which right now are on super sale on Blitsy (with the Mother’s Day coupon code). They’re similar to the Kikki K’s, but faux leather, and not quite a true A5 size. But, there was just something about them that I didn’t like. Well not just something, the guts of it – the inserts. First, the calendars are dated, so I’d have already lost nearly half the year. And second, it has a snap closure. I want to punch holes into things and stick it in my memory planner, and I don’t want to be constrained by a snap. So, while I had an A5 Color Crush planner in my basket on the Blitsy site, and post coupon, it was only $42.95 with shipping, I couldn’t hit the commit button. 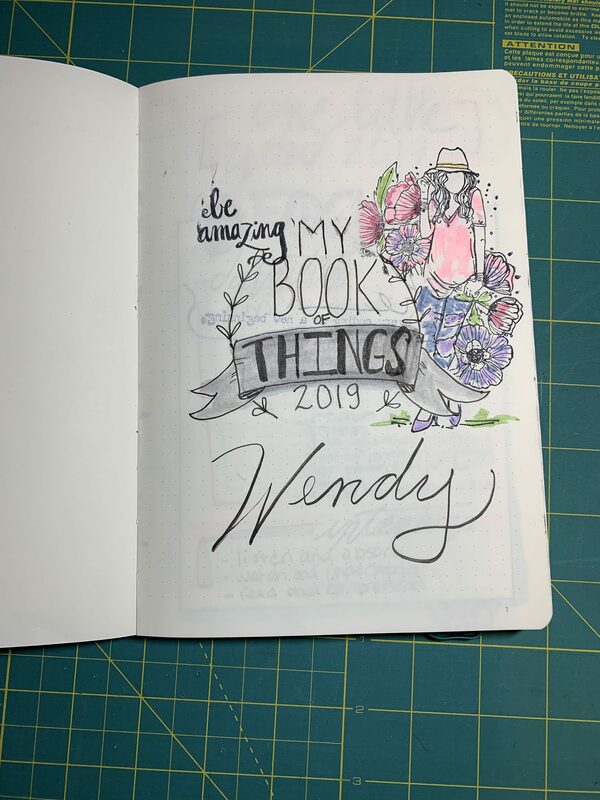 Instead, I got sucked into the youtube planner channels, and after not careful, but “I want that” consideration, I decided to go with the Heidi Swapp Memory Planner. 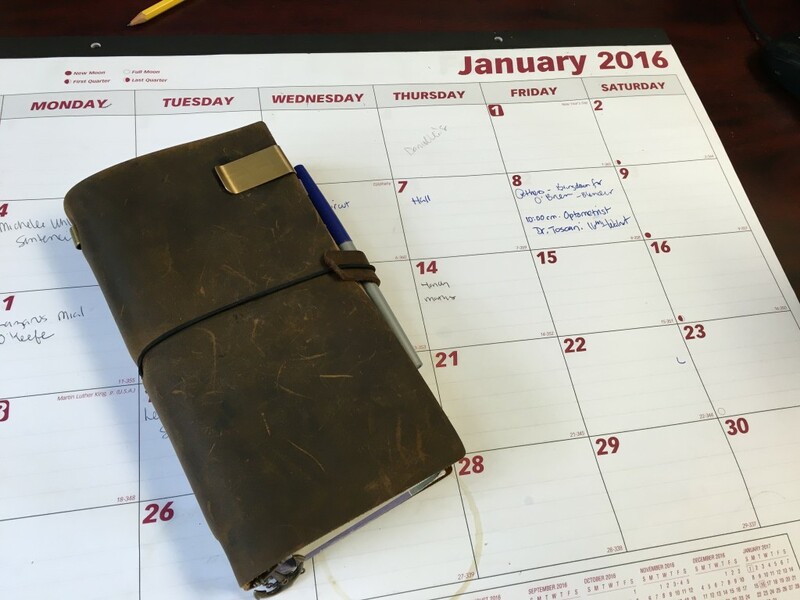 There it was – right in it’s name – the memory planner. Exactly what I was looking for. 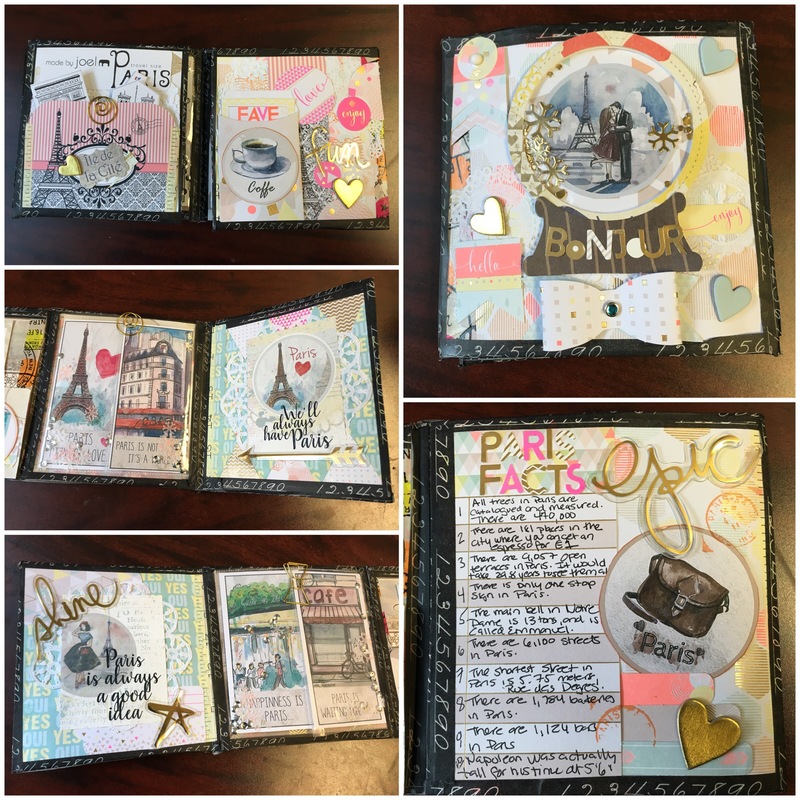 A kind of planner, a kind of abbreviated scrapbook, a kind of journal. That’s the right planner, I thought. 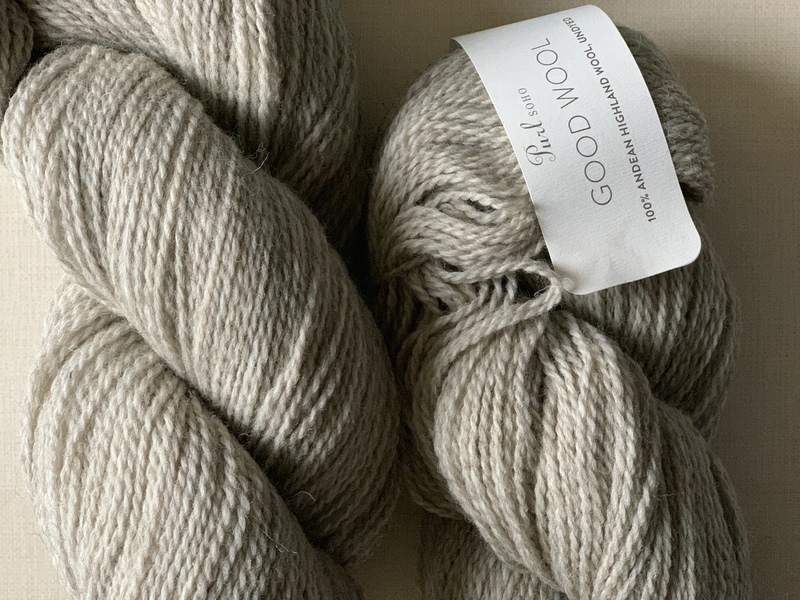 So, that’s the “I want it” part – the careful part – well, I threw careful to the wind. 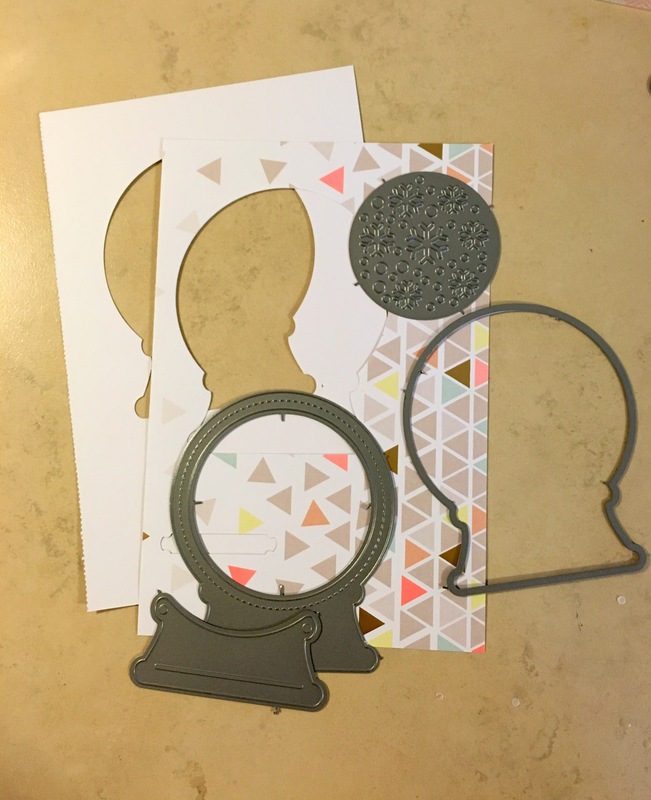 The online reviews of the planner aren’t so good – that the holes all have to be repunched because they were punched too small, that the binder feels cheap, etc. But, you get what you pay for, and after my 40% off coupon at Michael’s, and a free shipping code that Michael’s gave me after I left the planner sitting in the cart overnight (so smart of them! push me over the edge into purchasing with a shipping code! ), it was only $20. So, I reasoned, if the binder is crap (and all of the warning signs are there that it just might be), I can always put the inserts, which, along with the photo sleeve inserts are the reason I was buying the thing anyway, into another binder, like this one from Dokkipaper, a kind of faux Kikki K, faux Dokibook, which is also snapless. ah, but you may say, how will you do that because Heidi Swapp’s isn’t really A5, and it has only 4 holes. Solved that one – I’ve already seen someone on the Planner Society FB group punch the extra two holes, and put it in a traditional A5 planner, so I think I’ll be good. So, for now, I’ll try out the cheap binder, and see how it goes – and I’ll let you know. All of that rambling has left my exhausted, like poor little Olive after playing with her ball outside all day, and then scarfing down her dinner. 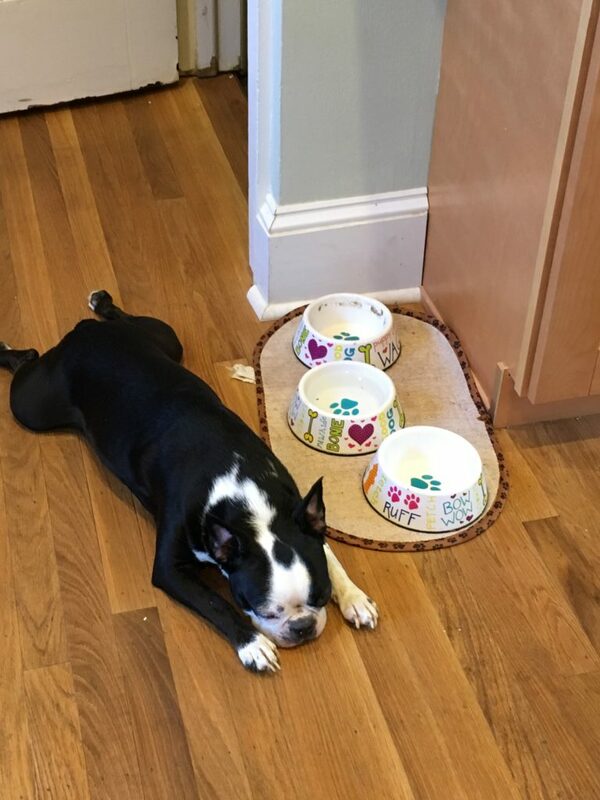 Definitely a hard life for the little Boston!